Welcome to Tabor Academy. We are a specialist school serving 1,050 young people from families in the Braintree Area. 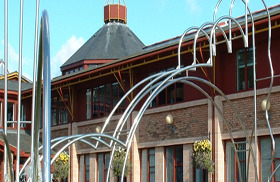 Tabor Academy is a comprehensive school, with an excellent reputation for providing opportunities for young people to succeed, both through its curriculum and through its wide range of enrichment activities. All this adds up to an outstanding learning environment where every student can achieve their full potential. Visitors to the school are always struck by its disciplined yet caring atmosphere and the mature relationships which exist between all who learn in its modern buildings, state of the art facilities and attractive grounds. A sense of real purpose and harmony pervades the school’s corridors, accompanied as it is by personal qualities, such as consideration, service to others and endeavour. ‘Better Never Stops’ is at the heart of everything we do alongside our core values, including courage, integrity and wisdom. It is our philosophy that staff and students need to choose a positive attitude, be respectful as well as ‘there’ for each other. Staff and students should also be, kind and make everyone around them smile. We must all work hard and do our best, but have fun too. Great learning and real progress happens when we are happy and inspired. We are seeking to appoint a highly effective Deputy Headteacher to join our very successful, heavily over-subscribed multi- academy trust with an outstanding ethos where staff are supported to become the best.